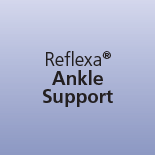 Reflexa® Diabetic received The Seal of Acceptance from the American Podiatric Medical Association- a professional medical organization representing Doctors of Podiatric Medicine (podiatrists) within the United States. 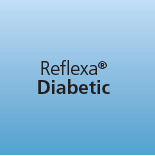 The Seal of Acceptance confirms that Reflexa Diabetic has been officially demonstrated to be beneficial to foot health. Each committee member then conducts a thorough scientific evaluation of the product. The committee then sends its recommendations to the APMA Board of Trustees, which has the authority to either accept them or reject them. 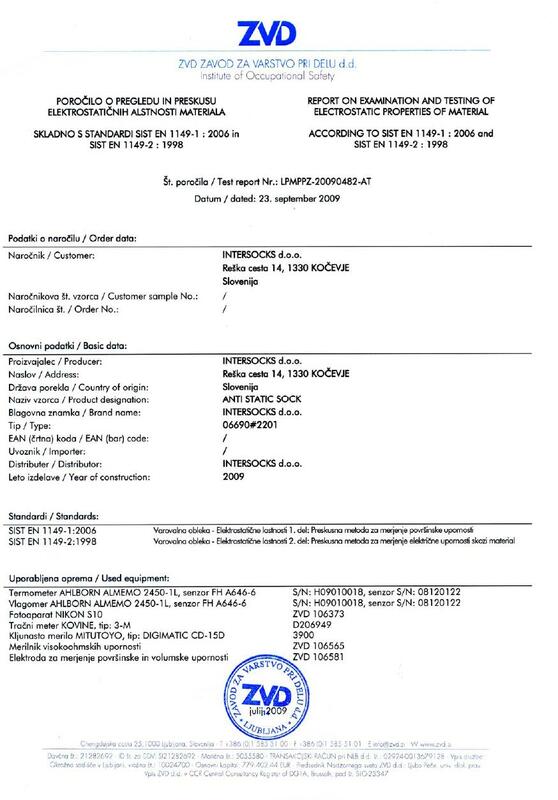 Products which lack documentation to support claims, are primarily cosmetic, do not allow for normal foot function, or do not promote good foot health, cannot qualify for the Seal. 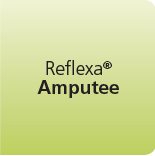 Reflexa® Diabetic was successful in all tests and evaluations, and can now proudly bear the APMA Seal of Acceptance! The CE mark is a mandatory conformity mark for many products placed on the market in Europe, and it is also recognized in other countries. The CE marking certifies that a product has met EU consumer safety, health or environmental requirements. • and which does not achieve its principal intended action in or on the human body by pharmacological, immunological or metabolic means, but which may be assisted by such means. The certificate of conformity with the requirements of the 93/42/EEC – Medical Device Directive has been obtained by a Notified Body. Reflexa® Anti-Static has been tested according to the test method described in the relevant section of the European standards for protective clothing, SIST EN 1149-1:2006 and SIST EN 1149-2:1998. 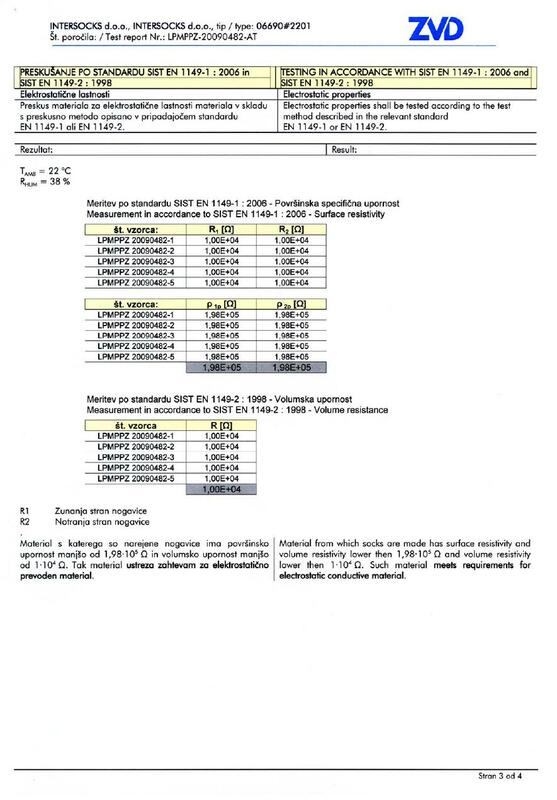 These two standards determine test methods and requirements for accurate measurement of surface and vertical electrical resistance of the material. 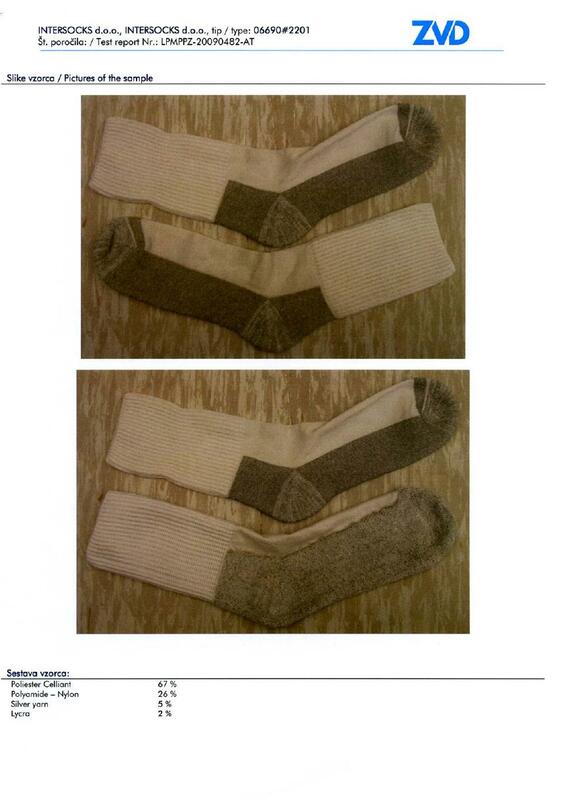 The report on examination and testing of Reflexa® Anti-Static shows that the material from which these socks are made has a surface resistivity and volume resistivity lower then 1,98•105 Ω and volume resistivity lower then 1•104 Ω and thus meets requirements for electrostatic conductive material. 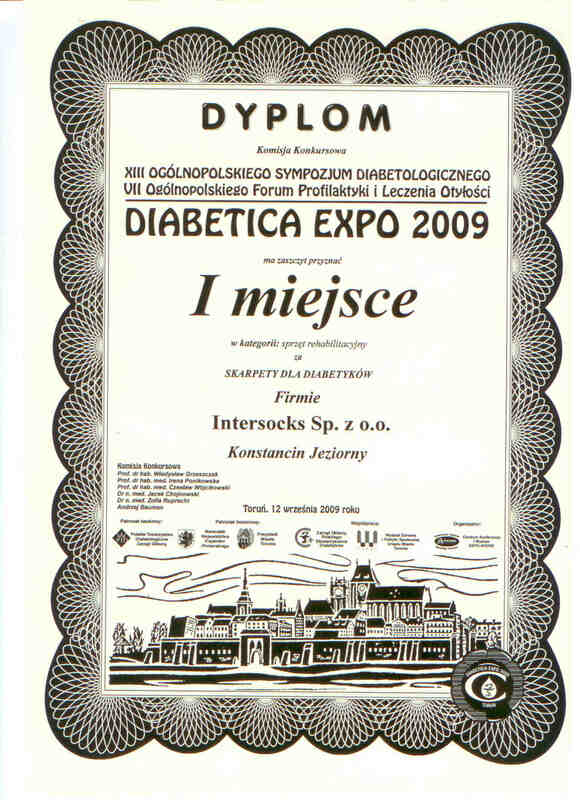 We are proud to announce that Reflexa® Diabetic was awarded first prize at Diabetica Expo 2009 - the annual diabetological symposium and fair. For over a decade now this event has provided experts and patients with an opportunity to meet and exchange new insights into the prevention and treatment of diabetes. The event took place on the 12th and 13th of September 2009 in Torun, Poland. 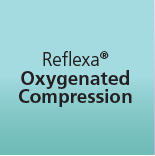 The expert jury awarded prizes in several categories, and Reflexa® Diabetic was chosen best in the category of medical accessories.